Anyone who spends their time doing CrossFit workouts understands that it requires quite a bit of gear. This is where the best CrossFit gym bags into play. 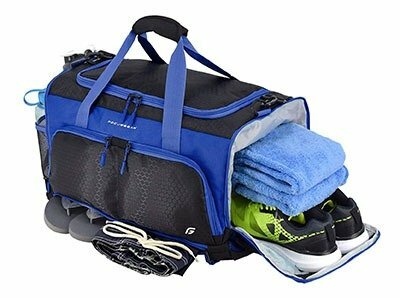 You need a bag that’s large enough to handle everything from different types of shoes to weights and even exercise clothing. 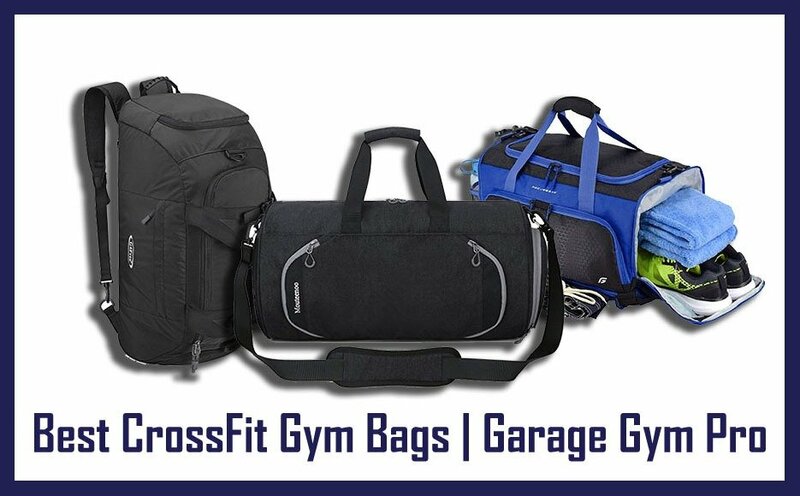 In order to determine which ones are the best CrossFit gym bags, we examined many different factors. You’ll find that the ones listed below are very useful, whether you work out in a gym or do your CrossFit workouts on your own in your homegym. The best bags are designed to hold quite a bit of fitness equipment. This means that their interior capacity is large enough to handle them. Look for the measurement of this capacity; it’s usually described as liters or cubic inches. You don’t want your workout equipment getting wet – outdoors by the rain, anyway. Sweating on them is something else entirely. You need a CrossFit bag that has a waterproof exterior. This means that it can handle just about any type of weather. Keeping everything organized can be tricky, but it’s made easier when you have a bag with plenty of interior and exterior pockets. The best CrossFit bags have several of both. However, if you want a bag with only a few pockets, there are some of those available, too. You need to carry the bag around, so having handles is a necessity. Look for a bag that’s comfortable to carry. Most have several different types of straps attached to them. The following bags made the list of the best CrossFit gym bags because have two or more of these characteristics. 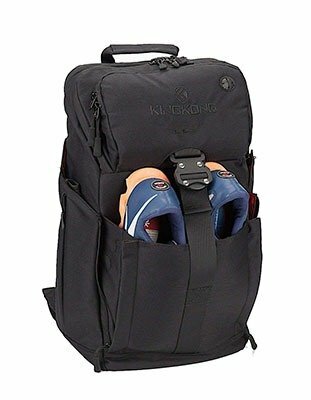 The Kuston Sports Gym Bag is on the list of the best CrossFit gym bags because it has a handy shoe compartment. This keeps your shoes away from the rest of your work out equipment. The Kuston Sports Gym Bag comes in a wide array of colors, including black, sky blue, pink, and black with yellow splatters. You should have no problem finding one of the CrossFit duffle bags in a color that you like. It’s made of oxford fabric, which is durable, lightweight, and even waterproof. 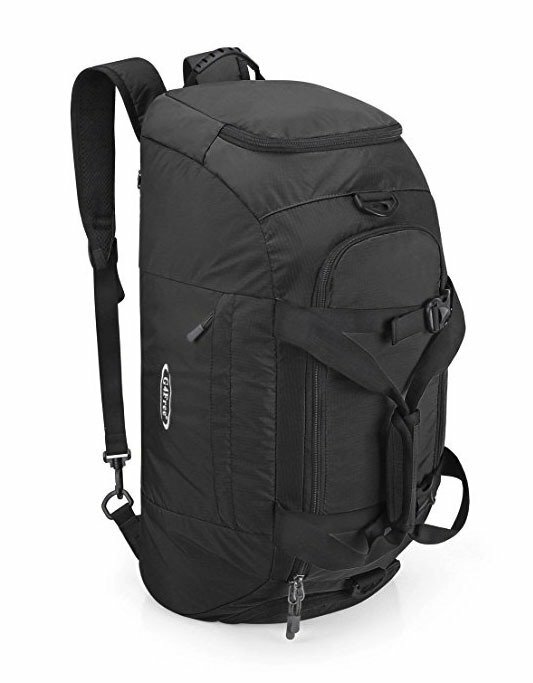 It has two straps, including an adjustable over the shoulder strap and a short carrying handle. The bag has plenty of pockets, such as the aforementioned shoe compartment, as well as a mesh section to hold water bottles. In all, it measures 19.69 inches by 10.24 inches by 9.84 inches. The MarsBro Water Resistant Sports bag is one of the best CrossFit gym bags since it’s both waterproof and lightweight. Despite its name: “MarsBro,” this bag can be used by men and women alike. The MarsBro Water Resistant Sports bag is a great CrossFit duffle bag that can hold quite a bit of different things. It is made of a fairly stiff fabric that will definitely keep its shape over time. The bag measures 19.7 inches by 9.8 inches by 9.3 inches. Its exterior is 600D polyester that’s breathable (which is a great thing to have in a CrossFit duffle bag) and waterproof. The lining is made of PVC fabric. Some people prefer to carry their CrossFit supplies in a well appointment backpack. 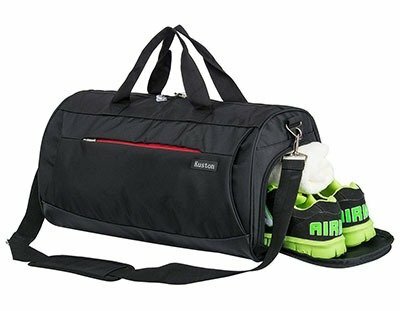 This addition to the best CrossFit gym bag list is one of them. Although it’s designed as a tactical backpack, you’ll find that it can hold quite a bit of homegym gear. The King Kong Backpack II, also known as a good CrossFit gear back, is designed for people with active lifestyles. It comes in seven different colors and is marketed as a military-grade bag, meaning that it will hold your CrossFit gear with ease. This CrossFit backpack is made of 1000D nylon and has heavy-duty steel buckles, an array of pockets, and even a special external shoe compartment. It weighs 2.43 pounds and measures 22.8 inches by 13.4 inches by 7.4 inches. One of the reasons why the Everest Gym Bag has made this list of the best CrossFit gym bags is because it comes with a built-in wet pocket. This means that you can stash your sweaty clothes in this bag and not worry about messing up the rest of your CrossFit gear. 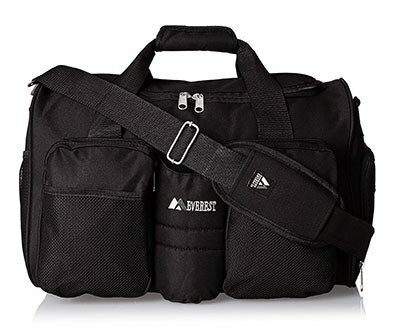 The Everest Gym bag is a great CrossFit duffle bag. It is made of 600D polyester and has an interior capacity of 1,950 cubic inches. It measures 18 inches by 11 inches by 10.5 inches and comes in five different colors: black, dark gray, navy, royal blue, and red. The shoulder strap adjusts up to 50 inches long and has some padding for additional comfort. 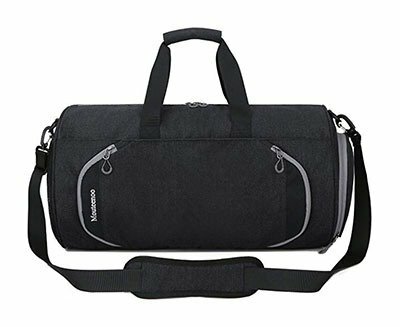 Plus, this CrossFit duffel bag has a wide variety of pockets and places to stash different things, such as water bottles and shoes. Although it’s billed as a travel backpack, the G4Free Three-Way Travel Duffle is actually one of the best CrossFit gym bags because it can hold quite a bit of workout equipment. This bag even has a built-in shoe compartment. The G4Free Three-Way Travel Duffle is a Crossfit gear back that can handle pretty much anything that you can stuff inside of it. This bag is 12 inches by 10 inches by 23 inches. It has a 40-liter capacity and plenty of side pockets. It’s made of waterproof and tear resistant nylon. This CrossFit backpack has adjustable shoulder straps, as well as a front carrying strap, allowing you to carry it duffle bag style. It comes in five different colors, including orange, green, cyan, blue, and black. The Gym Sports Duffle Bag is on our list of the best CrossFit gym bags because it isn’t bulky at all. This bag is compact and lightweight, yet can hold quite a few things. 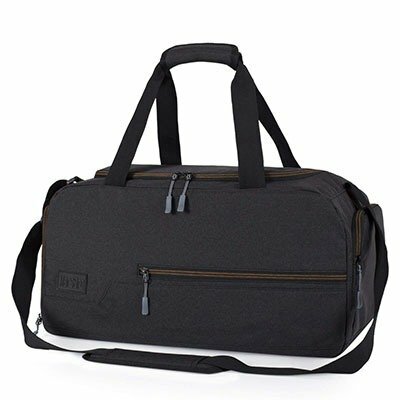 If you dislike CrossFit duffle bags because they have too many interior pockets, then this is the one for you. Some of the best CrossFit bags have too many pockets. They also lack a streamlined design. Not so with the Gym Sports Duffle Bag. Yes, this one does have an interior shoe compartment, but that’s about it. The other is a zippered pocket that can hold keys and things. This bag comes in eight different colors, ranging from black to magenta, making it easy for you to find it in a color that you like. This CrossFit duffle bag is 20.5 inches by 11 inches by 11 inches and it comes with a lifetime warranty. Sometimes the best CrossFit gym bags are those that make it easy to organize your CrossFit supplies. 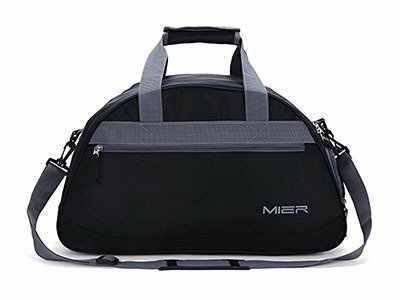 The Mier 20-Inch Sports Gym Bag is one of them. It’s also very durable! The Mier 20-Inch Sports Gym Bag comes in two different colors – pink and black. It has one exterior zippered pocket, as well as one interior one. It also has a zippered closure that can hold shoes of various sizes. This means that you won’t have to keep your smelly gym shoes near your other workout equipment. Overall, the bag is 19.29 inches by 9.45 inches by 11.02 inches and it weighs 1.36 pounds. The exterior is made of 210D nylon and the interior is fully lined. Sometimes the best CrossFit gym bags are those that are designed by a crowd of people. The Ultimate Gym Bag is one of them. This bag is made by FocusGear and was crowdsourced, which means that many people included their input – which makes this bag great. The FocusGear Ultimate Gym Bag has exterior pockets that are designed to hold two different water bottles, as well as straps at the bottom. You can attach everything from shoes to towels here. The side of the bag opens up to a shoe compartment, and when you go into through the top, you’ll find a number of other pockets. The bag comes in two colors – gray and blue – and measures 20 inches by 11 inches by 10 inches. It weighs less than a pound. The best CrossFit gym bags are those with plenty of pockets, some versatile uses, and useful carrying straps. 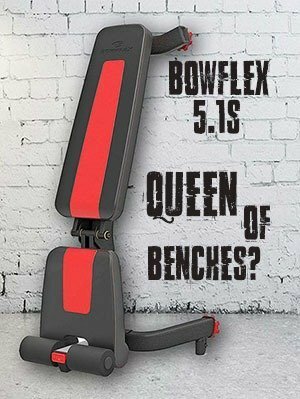 They are heavy duty and can hold quite a bit of CrossFit gear, even if you just work out in your own homegym. They come in an array of colors and sizes, and two main styles – backpacks and duffle bags. You’ll find several of both on this list. If you’re in the market for the best CrossFit bag, then look no further than the eight described here. One of them should fit your needs!